Skipping your next car service could cost you more than you think. We’ve all been tempted to skip a service now and again. Money gets tight. Life gets busy. Not enough hours in the day. You do a few long trips. It happens. But whether you’re aware of it or not, skipping your next regular service could actually end up costing you much more than you’d think. The average family car is made up of, give or take, 30,000 different parts. The engine alone consists of about 10,000. When you’re dealing with something made up from so many different bits, the odds of one part or another playing up over time are pretty good. Car servicing is critical to ensuring that each of these 30,000 components goes the distance. And continues to perform its intended function. Fluid changes. Tests and tuning. Brake adjustments. Wheel alignments. They’re all preventative measures. Preventative measures that pay dividends. A new engine can cost upwards of $15,000. You won’t get much change from ten grand on a new gearbox. And the mechanic who fits it needs to feed their family too. Do the math, and you’ll start to see how having your car serviced by an experienced, factory-trained mechanic, who knows the make and model of your vehicle inside and out, could be the difference between years of happy motoring or years of costly headaches. Engine oil is another perfect example. Did you know that engine oil is meant to turn brown? It’s how you know it’s doing its job. As engine oil turns from a syrupy gold to dirty brown, it’s because that oil is picking up carbon deposits that would otherwise build up in the motor. Oil takes it to the filter until it becomes saturated and it’s due for a change. When engine oil isn’t changed regularly and professionally, sludge and varnish form. And this can lead to all kinds of problems. Excessive wear of internal engine components. Blow-by due to piston ring wear. Higher oil consumption. Oil leaks from hardened seals. Oxidation. Rotten fuel economy. All things that will cost big bucks to fix after the fact. It’s the same story with gearbox and differential oils. Out of the bottle they’re a transparent gold or even red. But as moisture or diff components wear, these oils become cloudy and need to be flushed. Failing to do so with regular servicing is only going to accelerate the wear on some of the most expensive parts of your car. Different brake fluids come in blue, green or gold and are hydroscopic; which is a fancy way of saying they absorb moisture. It’s noteworthy because it takes a factory-trained professional to handle them just right. If exposed to the elements or sprayed with the garden hose, things aren’t going to last long. For obvious reasons, always trust brake work to a licensed mechanic. Power steering and automatic transmissions operate under high pressure. And high temperatures. A few exceptions aside, auto and power steering oil starts out a transparent pink. But as time goes by, those shades of pink turn a cloudy brown. Your first sign that it’s time for them to be changed. If starts to smell like it’s been burnt, or that cloudy brown colour starts to look more like chocolate sauce than a viscous coral-coloured liquid, it’s time to give the dealership a call and book a service, stat. Any shine or metallic shimmer to an oil is another tell-tale sign that it needs to be replaced. It also means whatever part of the car this oil has been lubricating should be inspected closely and carefully. Sometimes it’s an easy fix. Other times it’s a sign of something worse to come. Whatever the case ends up being, if shimmering oil is detected, it’s best to get your car to a licensed mechanic immediately. There’s no cure for cancer. But there are things we can do for our bodies over the course of time to help prevent it. It’s no different with a car. When it comes to servicing, it’s all about prevention. When you stay on top of your servicing, and know how to spot a few early warning signs, you really will be able to prevent costly failures down the road. And where you take your car for servicing is every bit as important. Having your vehicle serviced at the dealership is the best way to maintain the vehicle throughout its life. Factory service centres are backed by technical support. They have expert model knowledge. And special service tools that the corner mechanic doesn’t have access too. Dealer service centres also utilise dedicated electronic test equipment to interrogate your car’s computer. This ultimately makes them able to service your vehicle faster than the neighbourhood mechanic. And at a lower rate. 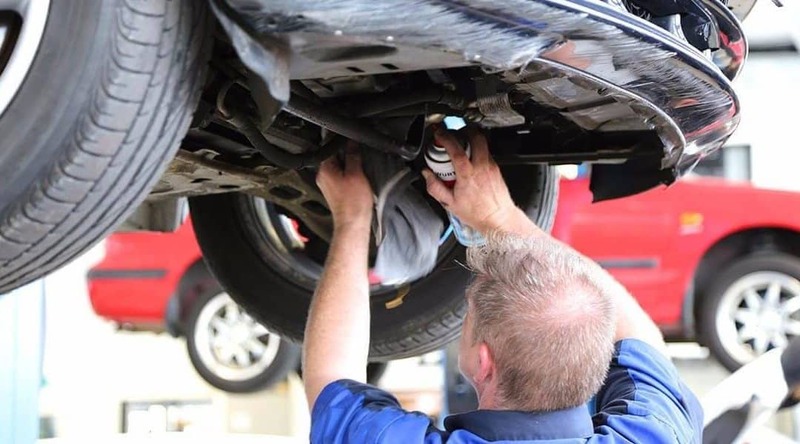 For all the reasons above, and many more – especially where the terms and conditions of your car’s warranty are concerned – the importance of not skipping that next service is a bit too obvious. Dealer servicing is performed by manufacturer-trained technicians who are specialists with your car’s make and model. They only use genuine parts under warranty by the manufacturer to perform at the highest level. And while the local mechanic can do basic servicing, they cannot perform warranty work. Like we touched on earlier, going outside the dealer network for servicing may even void your warranty all together. So it makes dollars and sense to only have your car maintained at a manufacturer-approved workshop. While it might be tempting to keep that extra money in your pocket, and the car hasn’t been acting up or showing any signs of being on the fritz, it’s important to remember and respect a regular servicing schedule. Otherwise, you could be out much more than a modest servicing fee in a few months time. If you’ve got questions about servicing, or would like to book your next service with Booth’s, we’d love to hear from you. Call Booth’s Motor Group service department today!